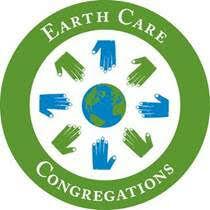 First Presbyterian Church is certified as an Earth Care Congregation by the Presbyterian Mission Agency for our environmental stewardship achievements in worship, education, facilities and outreach actions in the life of the church. To help conserve resources, we have a yearly “Paperless Worship Service” on Earth Care Sunday in the spring and project the Order of Worship on the screens. We are eco-conscious of the products we use for Sunday service and Fellowship and strive to recycle, reuse and reduce. In 2016, FPC completed a Wishing Well Project, sending $10,000 to Mandelia, Chad, Africa, via UNESCO-Chad, to dig a deep well for clean water, and to help a local cooperative. In addition, the project will help develop sanitation facilities ( latrines, washing spaces, refuse pits, drainage), and teach children and adults in Mandelia how to use their new facilities. In December 2016 and January 2017, FPC co-hosted five showings of the film, “Before the Flood,” to one-hundred and seven community residents, with moderated discussions. For two years, “Before the Flood: followed a camera crew around the world, visiting five continents, while speaking with scientists, world leaders, environmental activists and local residents, to discuss the apparent climate change in their midst.